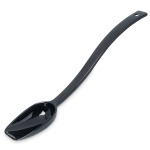 The Carlisle 447003 solid spoon is an excellent accessory for buffet tables or salad bars. Its one-piece polycarbonate plastic construction resists breaking and can endure temperatures as high as 212 degrees Fahrenheit and dry heat as high as 270 degrees Fahrenheit. Its flat edge can scoop 0.8 ounces of product. 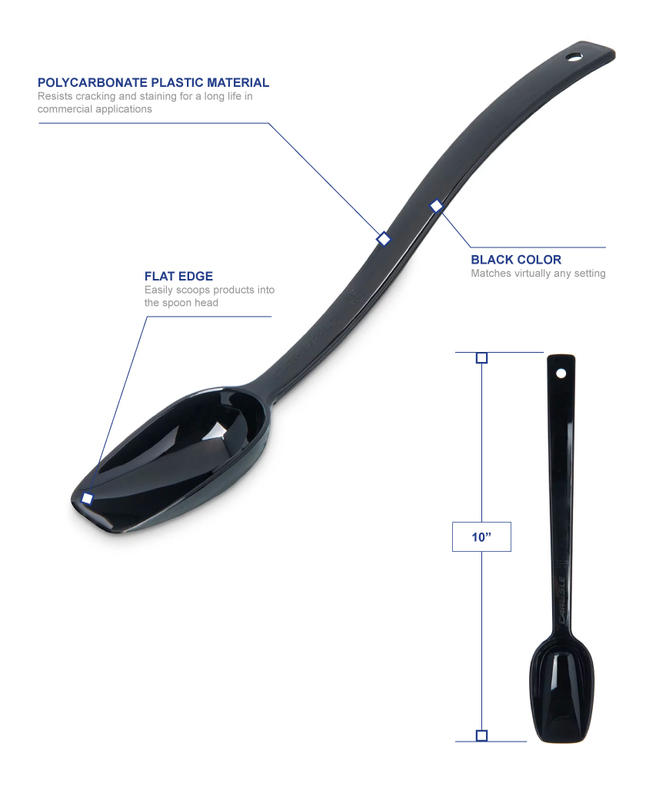 The spoon’s black exterior matches almost any color scheme.